IFF is touting cost cuts worth almost double the premium it’s paying for Frutarom. The deal also sprays the buyer with a healthy dose of products made with natural ingredients. But IFF’s investment return looks low. That may be why investors are turning their noses up at it. 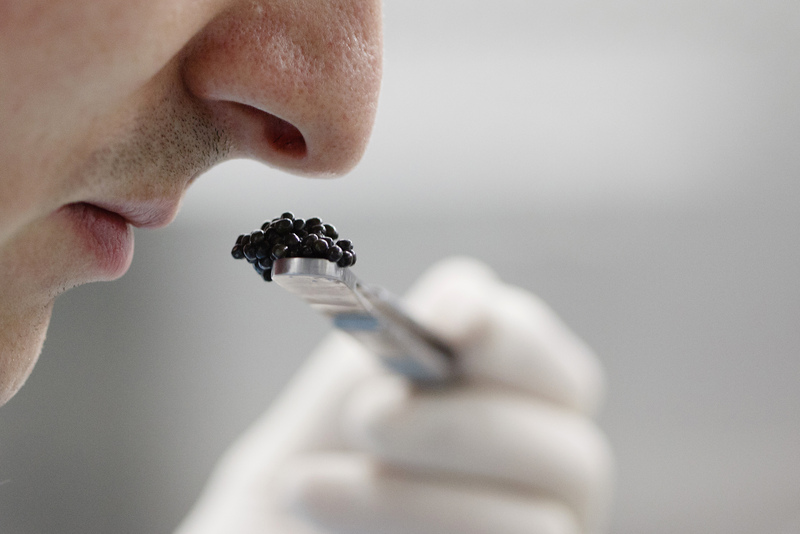 "Caviar Meister" Tobias Felix checks caviar at the caviar laboratories of the Tropenhaus Frutigen in the Bernese Oberland December 9, 2011.
International Flavors & Fragrances agreed on May 7 to acquire Frutarom in a transaction valued at about $7.1 billion, including debt. Frutarom’s shareholders will receive 0.249 of an IFF share and $71.19 in cash for each Frutarom share, representing a total value of $106.25 per share, based on IFF’s closing price on May 6. Frutarom is based in Tel Aviv and produces flavors and natural fine ingredients. IFF is based in New York and creates and manufactures flavors and fragrances.